Transport Canada has revised Canadian drone rules that heavily restricted recreational flight. The new interim order applies to recreational use for drones over 250 grams and up to 35 kilograms, with violations punishable by fines of up to $3,000 CAD. at least 30 m away from vehicles, vessels, and the public (if your drone weighs more than 250g up to 1kg) — down from 75m in the previous regulations. At least 5.5 km from aerodromes (any airport, seaplane base, or areas where aircraft take-off and land) — reduced from 9 km. During the day and not in clouds (previously just daytime was specified). While several of the most difficult-to-navigate restrictions have been eased with the new amendments, many of the rules instituted for recreational users still remain. 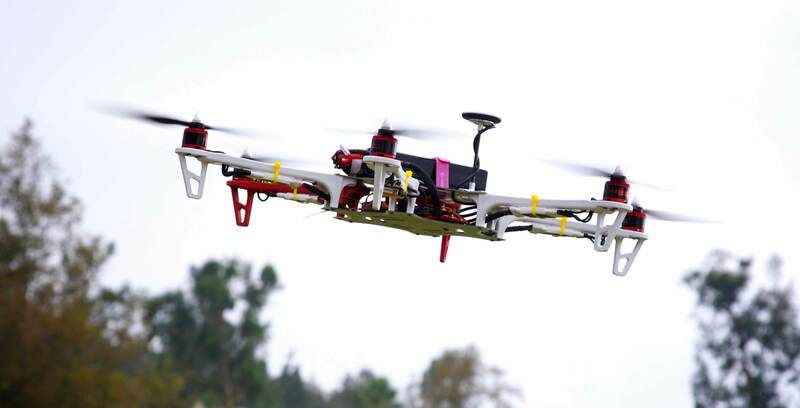 Drones must clearly marked with the user’s name, address and telephone number, within 90 m above the ground or lower, at least 75 m away from vehicles, vessels, and the public (if your drone weighs more than 1kg up to 35 kg) and at least 9 km away from a natural hazard or disaster area. Additionally, users must keep them away from areas where it could interfere with police or first responders, within their sight at all times and at a distance of 500 m from themselves or closer. Many recreational drone users have since criticized the new rules for restricting their flight areas to such an extent as to effectively ground them. Drone company DJI expressed its appreciation for the interim order in a press statement sent to MobileSyrup. “The revised Interim Order is a step in the right direction,” said Brendan Schulman, DJI vice-president of policy and legal affairs. Update 29/06/17: This article was updated with comment from DJI.